Community Stroke Advisors work with stroke survivors, their family, whānau and carers. Their work and support helps people achieve the best possible outcome after stroke. This service is free. Our Community Stroke Advisors (CSAs) are professional advisors for stroke survivors and family/whanau members or carers living in the community. The aim of the service is to help stroke survivors realise their full potential for recovery and wellbeing following a stroke. The service is free, and has helped many stroke survivors regain life after stroke. Makes hospital and home visits to introduce and explain the CSA service. Develops an action plan to meet current needs and to achieve specific goals in partnership with the client, collaborating with other health professionals as required. 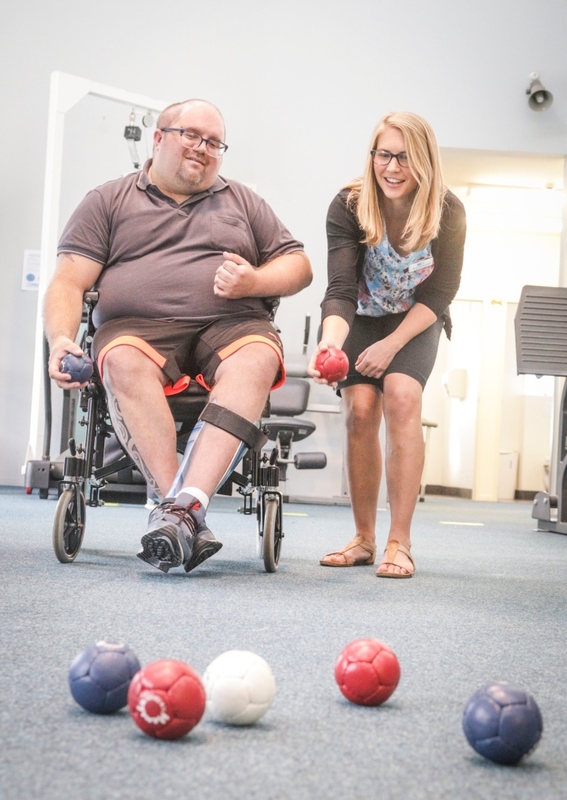 Provides support, information and advice to build knowledge and skills that assist effective adaptation to disability and minimise risk of further strokes. Information includes the nature of stroke, its causes and risk factors, prevention tips, the role of treatment and rehabilitation and how to optimise life after stroke and manage after-effects such as fatigue and depression. A wide range of printed resources are available. For individuals diagnosed with Transient Ischaemic Attack (TIA) offers plain language information about TIA, lifestyle changes to minimise risk of further strokes and how to identify and respond if one is occurring. Networks in the community and provides service coordination and navigation to ensure clients are referred to the best services to meet their needs. This includes local stroke clubs and other groups for social support. Supports working age people to return to work in conjunction with our Return to Work Advisors. Provides advocacy support where clients face barriers to accessing services. Provides information on transport options when unable to drive and how to obtain Total Mobility half price taxi fares if the client is eligible. Stroke clubs provide mutual support to people with stroke, their family, whānau, carers and supporters. They enable people to share experiences, to understand more about stroke, to meet new people and to participate in social activities and special events. CSAs provide links to local clubs if people wish to join. CSAs know about local support groups and recreational activities of value to people with stroke, their families, whānau and carers. These may include exercise groups, sports clubs, accessible gyms, art and craft groups, therapies, caregiver, partner or family support groups and younger stroke survivor groups. CSAs link clients with these community services. A stroke survivor and their immediate family, whānau and carer or carers are welcome to engage with the CSA service. Before beginning with the CSA service an ‘Agreement to Participate’ is completed. This process confirms each client understands how their health information will be used during their engagement with the CSA service. Clients are provided with The Code of Health and Disability Services Consumers’ Rights. The CSA can contact a health and disability advocate for a client if necessary. Any medical and rehabilitation service, community group or residential facility can make a referral to the service. You can contact your local Community Stroke Advisor or regional office by text, phone or email - see below for details. 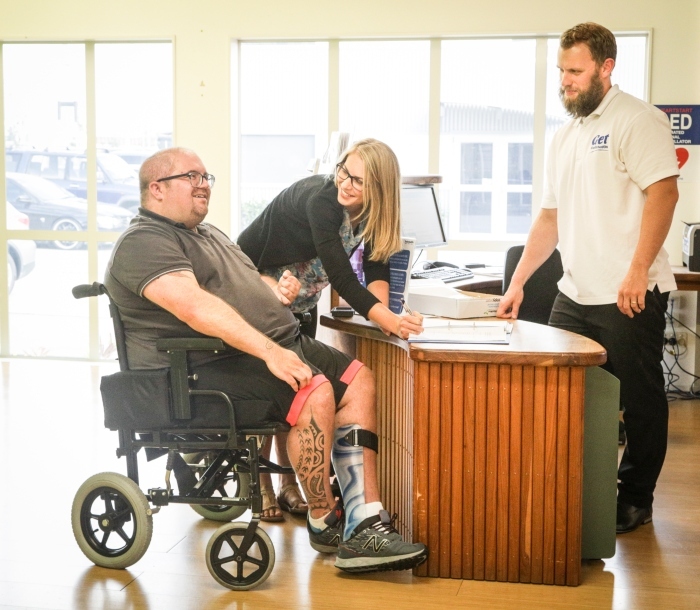 A specialist staff member is available in the Auckland area to assist stroke survivors who wish to return to work. The CSAs link clients with this service. Find a list of CSAs by region with this view. Find the closest CSA to you with this view. DHB professionals are encouraged to incorporate referral to the CSA service as a standard component of discharge planning. Referrals are accepted from any health or support professional, from a family/whanau member or by self-referral. Preferred mechanism for health professionals is to utilise the CSA service referral form. A copy is available from the CSA. With client consent, attaching additional information such as a copy of the client’s discharge summary significantly assists the quality of what the CSA can deliver.